and now is the time to ensure you have them all. Don’t be like me who had three of one across various characters and none of the other two! Nostalgia is a funny thing. 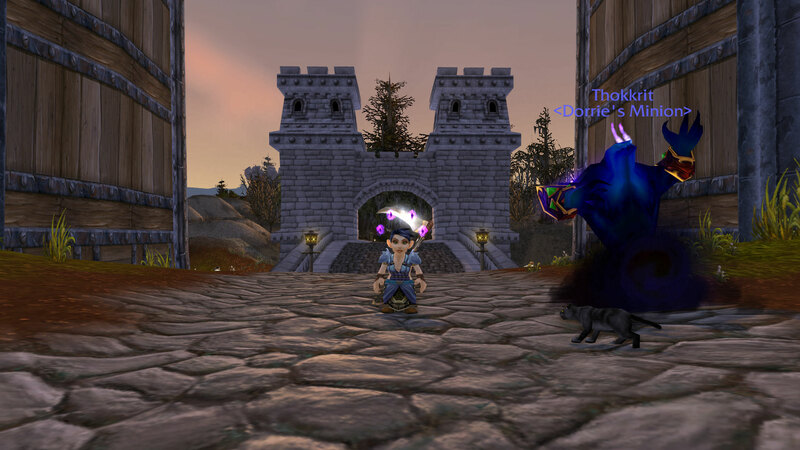 In someways those first few years playing WoW were my happiest, playing with a stable group of people, raiding high end content and generally enjoying myself.Yet when I unpick those memories most of them aren’t hugely happy ones. I’ve certainly been left wary of trusting others, of fully engaging with my current guild because of things which have gone before. I’ve just spent the afternoon running UBRS remembering how much I loathed the place when it was current content, when the General only dropped one blood and therefore you had to run it over and over again to get your whole raid attuned for Blackwing Lair. I remember having to solo heal it one day in a raid of 15 because the other Priest took offense when someone linked the healing meter (not me) and set out to smite the rest of the run. The wipes because people adored hugging the whelps or being knocked off various ledges and edges. The fights we would have to convince the rest of the group that they’d should do Solakar Flamewreath because Priests deserved a shot at their dungeon set shoulders just like everyone else. 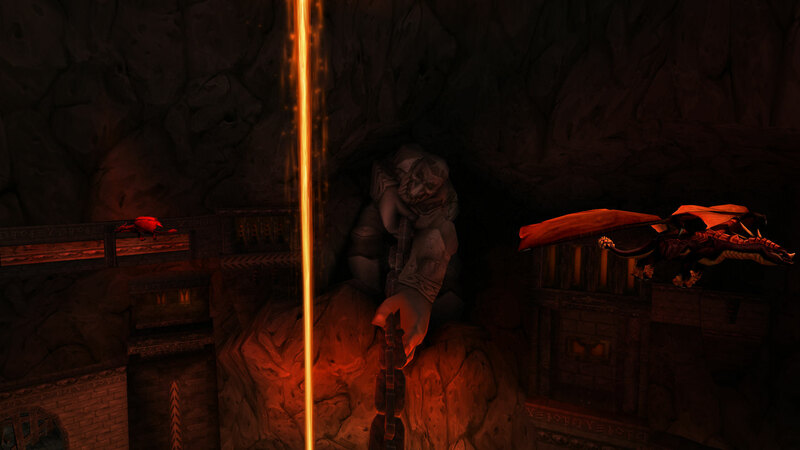 Then there was the night we had to go and rescue a guildmate who joined an UBRS raid three or four hours before hand so that he could raid with us the following night and when he finally asked for help, they’d only made it as far as the Rookery… I think I still have nightmares about that PuG. 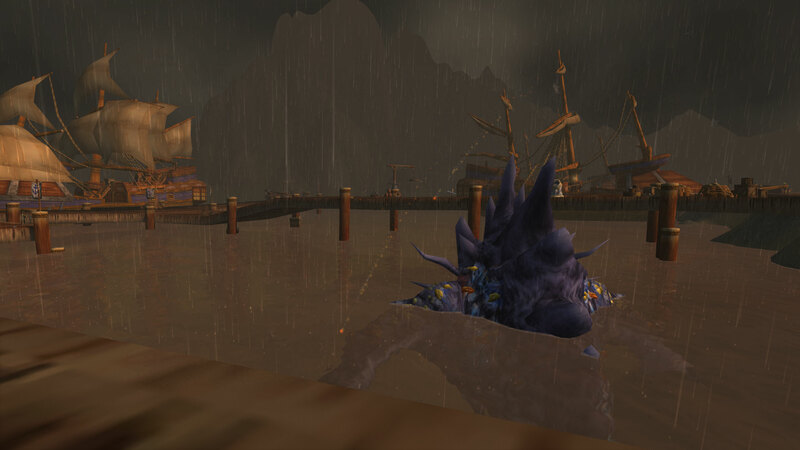 As we approach the 10th anniversary of WoW, I find myself questioning why I’m still here, why I haven’t learnt from past mistakes and run away as fast as my legs would carry me. There are plenty of decisions the Developers have made which have left me rolling my eyes but the flip side of that is they’ve also done things I love, Hallows End and Ulduar being prime examples. Besides if they always got it right for me, they would be no doubt a fairly large subsection of people criticizing that because they just don’t like or enjoy the same things as me. Yes it’s a balancing act but it’s not as simple as say deciding not to read a book because either things contained within the text revolt you or you just think a five year old could produce more literary merit. Take Fifty Shades of Grey for example, a friend gave me the first one stating I’d love it. I read the first few chapters in a mix of disgust and horror, imagining Thomas Hardy rolling in his grave and made a conscious decision not to purchase any of her books. 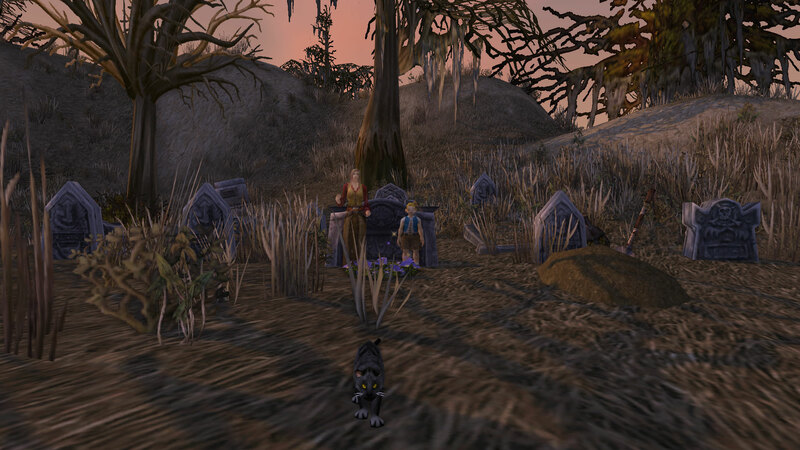 WoW on the other hand is more than just a game, it’s a community, something which inspires and pushes me. Do the pluses out way the negatives, I’d argue yes they do at least in my current circumstances as I sit here trying to figure out a way of coping with ante-natal depression and what comes after. 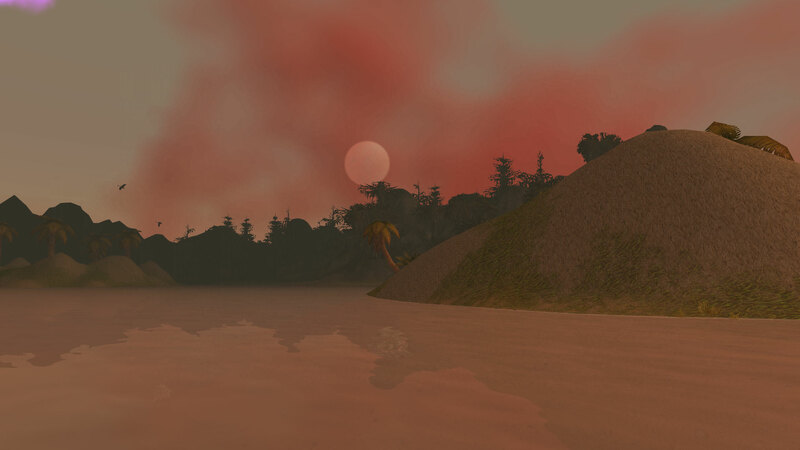 Besides, I think there is hope for WoW. People can and do change their minds and their perspectives, it’s just about keeping the dialogue going in such a way that everyone can engage with it. After all, when someone creates something and pushes it out into the Public view then they have to expect criticism. I read English Literature at University and that’s pretty much all we did, unpick other people’s words trying to get inside their heads. Art History contains a fairly hefty criticism component. We have book reviews, Food critics and people who write about the Theatre so why should the Gaming Industry expect to be any different? Today on logging onto the Beta I noticed that my Garrison was offering me a quest to go and try the Proving Grounds and perhaps more importantly offering me a new and shiny weapon for completing the Bronze wave in any of the disciplines. Despite the fact that I’m playing the Beta with no addons and no proper keybinds, I thought I’d go and give it a shot. As a Holy Priest wearing mostly the bits and pieces Blizzard give you for making a level 100 Premade, Bronze was extremely easy. I have no idea if it’s tuned correctly but my mana didn’t go below 75 percent and I barely cast any solaces at all. In fact I felt slightly guilty taking the weapon because if I played like that in a proper group setting I’d feel rather guilty. On the positive side, the NPCs felt better at moving out of bad but unfortunately they were equally good at moving out of my sparkling disco floor too. I didn’t have time to look at the Silver level, the one which Blizzard have stated everyone will need to enter Heroics through the Looking for Group mechanism but if it’s just a step up from Bronze I really think that the Healing Proving Grounds should be in the grasp of anyone who has healed at least a leveling dungeon on their healer. However hopefully tomorrow I’m going to make time for trying the Silver and seeing just what it’s like, especially in comparison to the Proving Grounds currently in game. Turning completing Bronze into a quest with a useful reward for brand new level 100s is I think a brilliant idea. Now it should become one of those things you do on reaching the leveling cap, just like doing the Arena Scenario for the Blue weapon was almost compulsory at the start of MoP on every new character. I do wonder though if there should be a quest for completing the Silver and Gold versions too, just as that added incentive to those who feel uncomfortable with the idea of the Proving Grounds. I haven’t run any dungeons at the level cap yet as I haven’t been the most diligent Beta tester recently but in terms of the items I have seen, this weapon is by far the highest item level coming in at lv 610 with over a 100 more spell power than the one which Premades get. 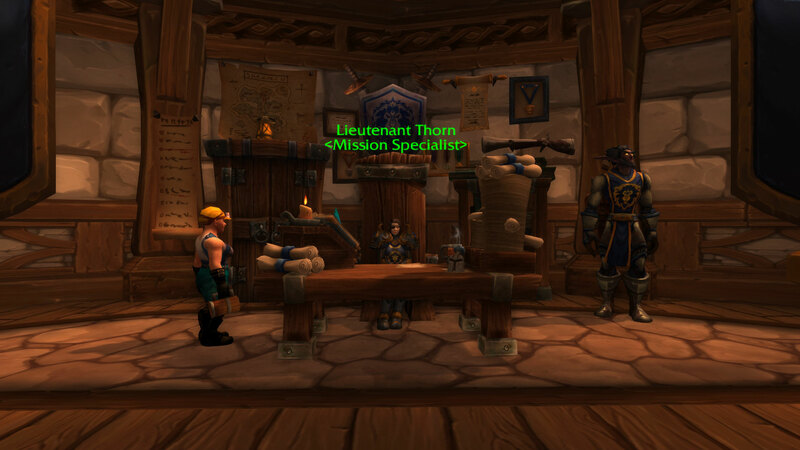 In the Alliance Garrisons, you can collect the quest from Lieutenant Thorn, Mission Specialist so I imagine that in the Horde Garrisons, you pick it up from her opposite number.